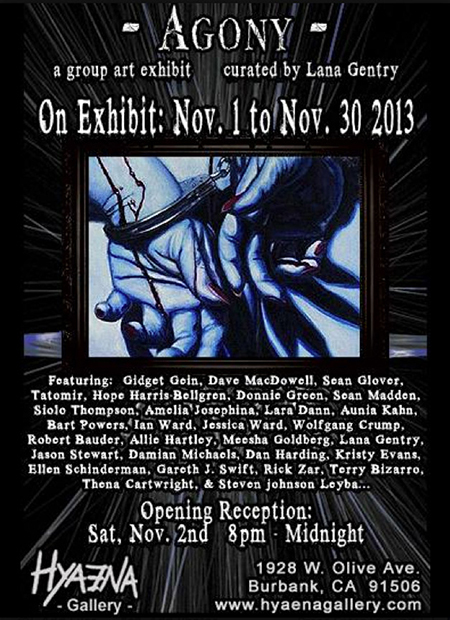 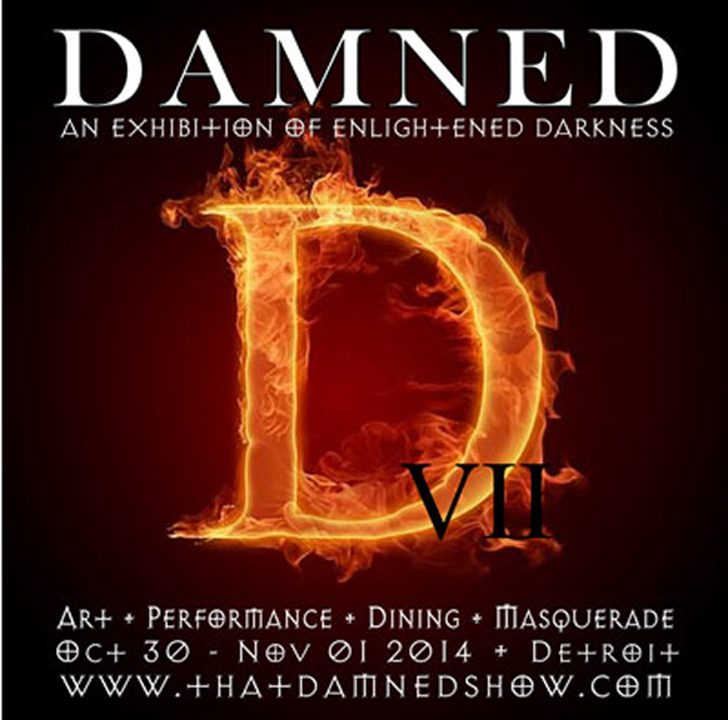 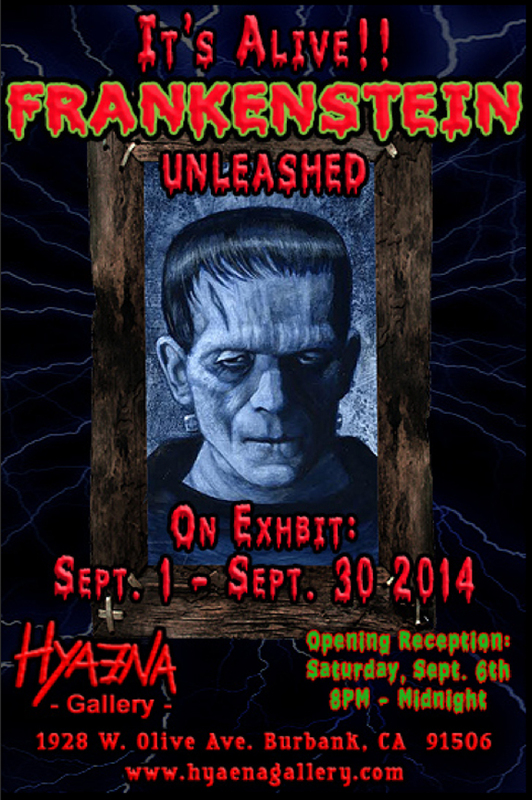 September 1st through the 30th at the Hyaena Gallery! 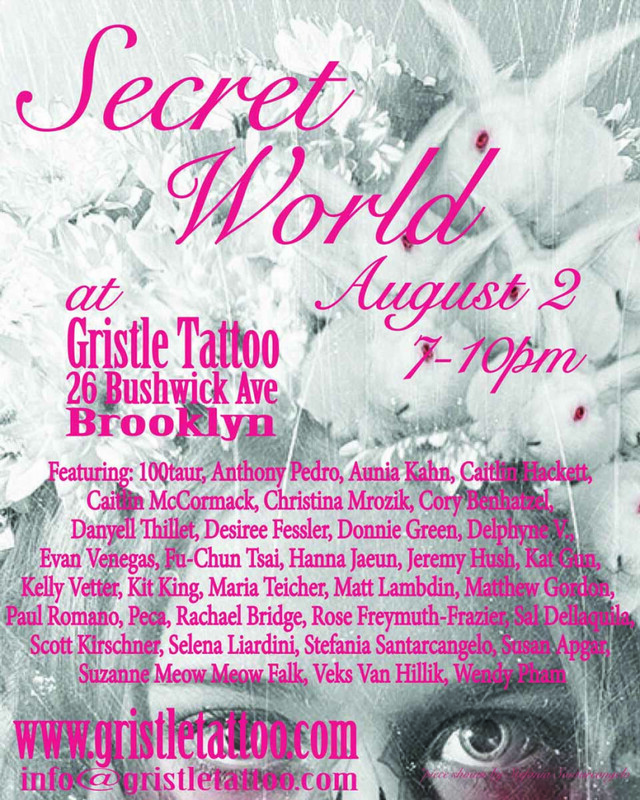 Next show August 2 at Gristle Tattoo and Art Gallery Brooklyn NY! 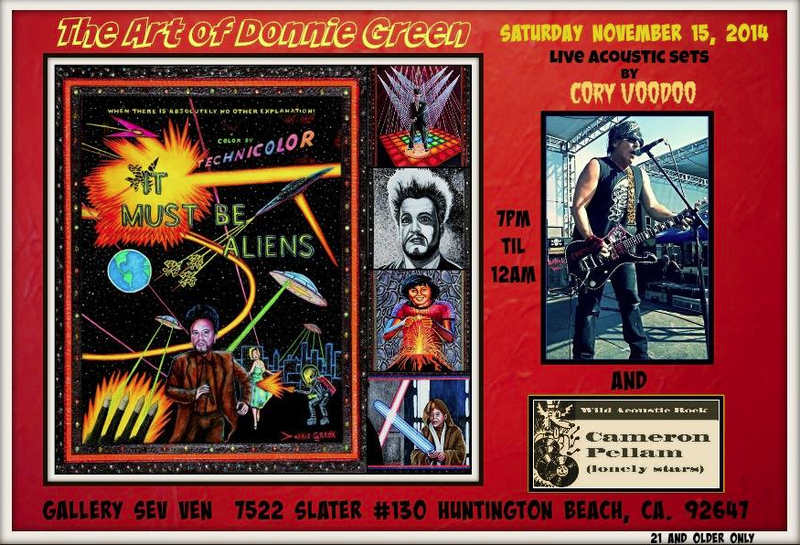 These shows are the most recent presentations of Donnie Greens art. 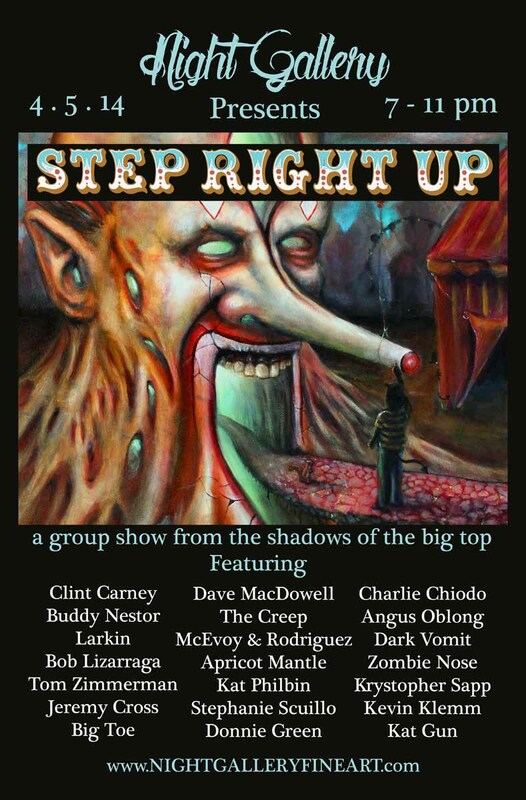 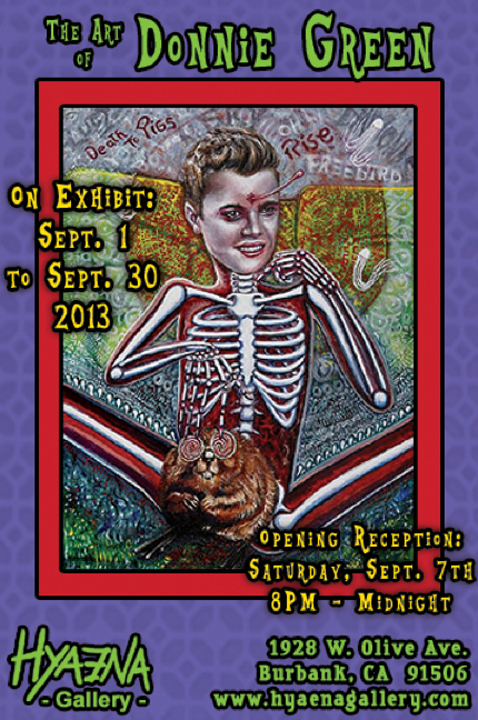 Donnie’s work will be on display at the Grass Roots Gallery show “Just A Little Freakshow”, opening on Oct 26th. 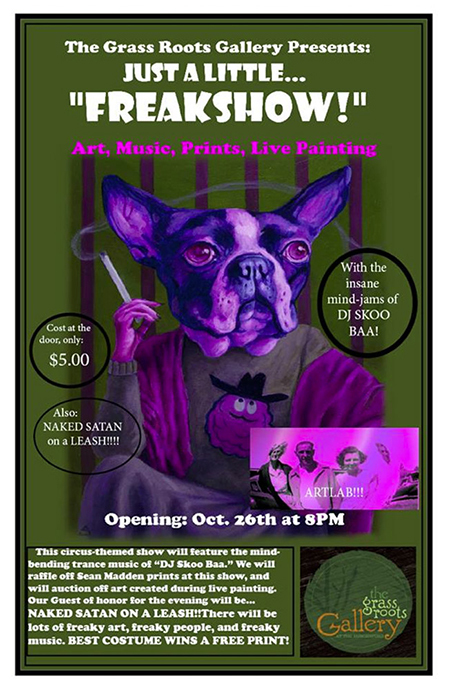 Ticket prices are $5 at the door! 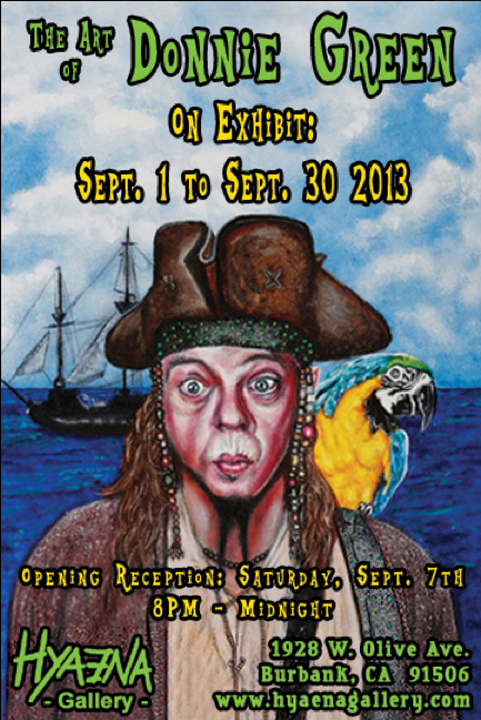 New paintings in the 2013 gallery. 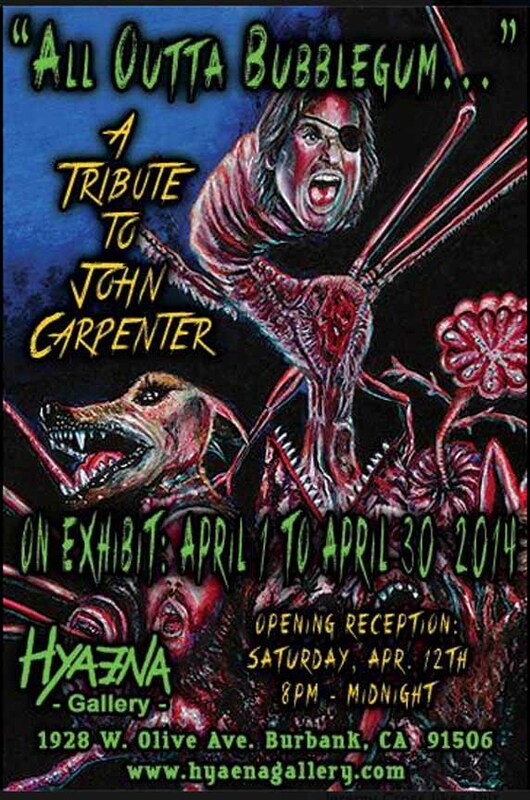 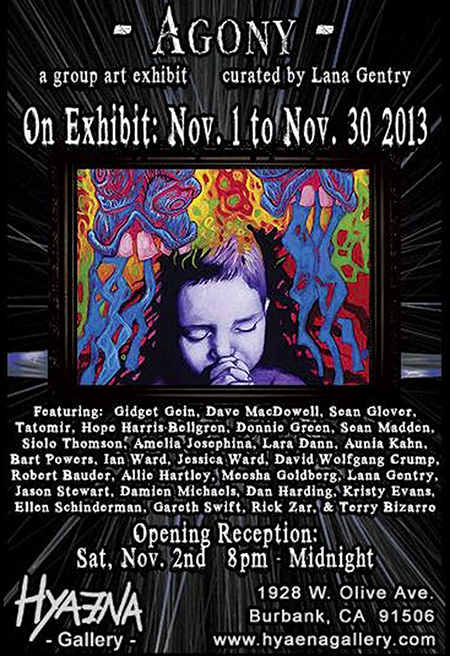 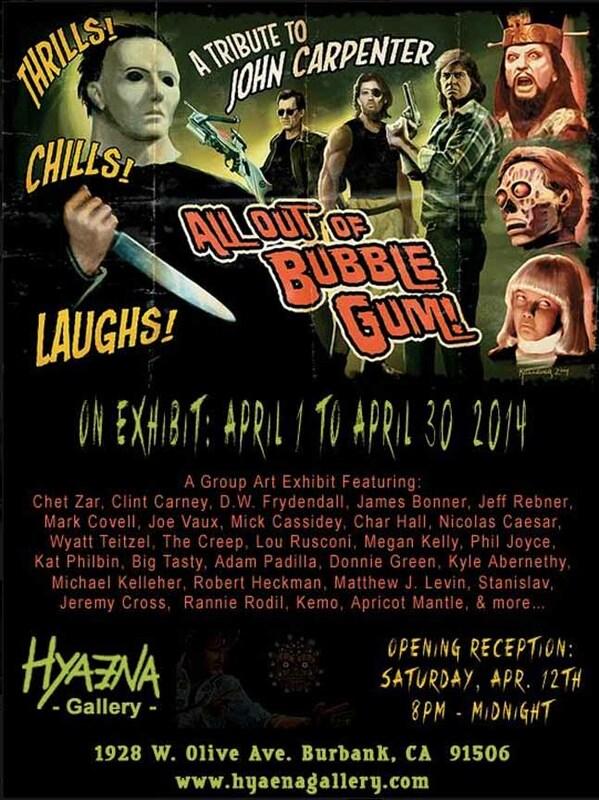 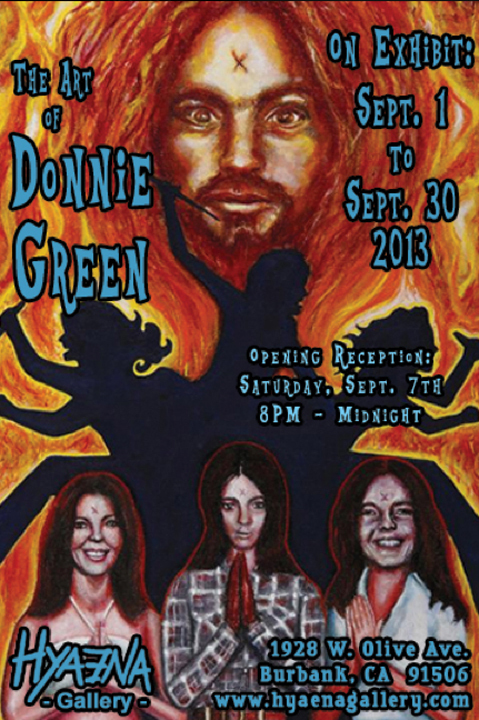 Donnie Green Art Exhibit added for the month of September at the Hyaena Gallery in Burbank, California! 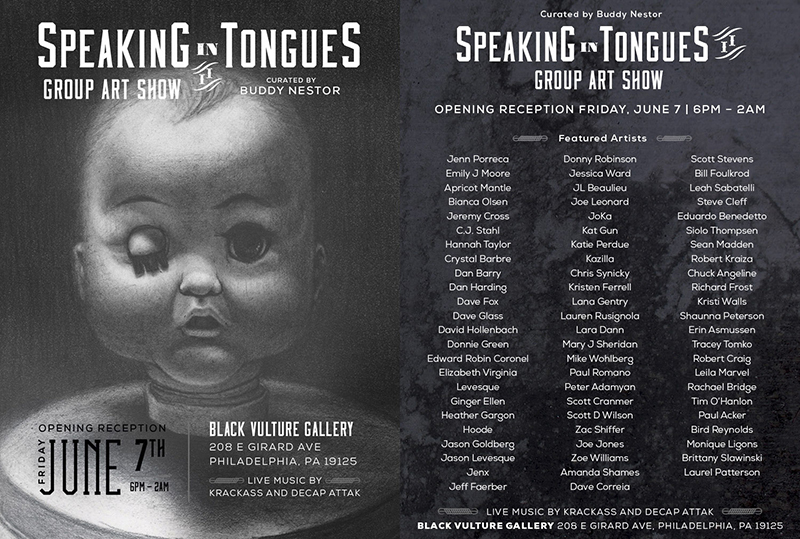 Donnie’s art will be featured in the Speaking in Tongues exhibit at the Black Vulture Gallery in Philadelphia on June 7th from 6PM to 2AM.